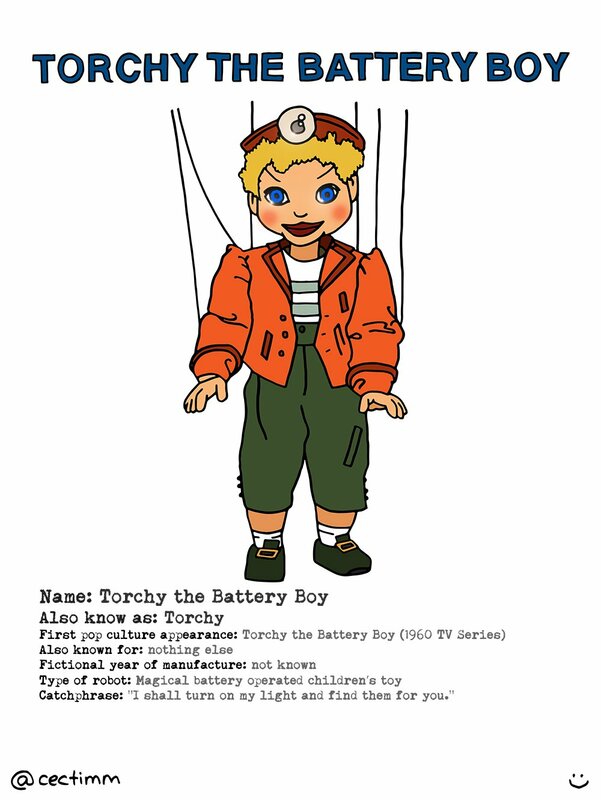 Torchy the Battery Boy is one of the most unintentionally creepy robots in pop culture history. 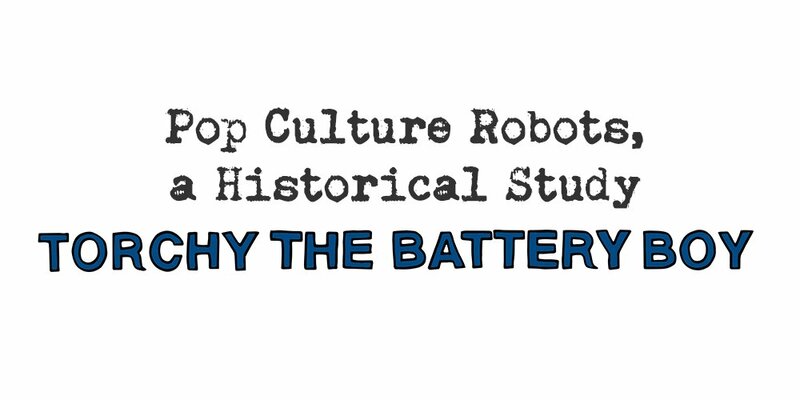 I’m glad to say that I’m way way too young to have watched this in its hay day, I only found it researching this project. Roberta Leigh was a well known romantic novelist (over 140 books and 24M book sales) but she also wrote Torchy, started a teen magazine, was a columnist, taught elocution, worked as a graphologist (handwriting analyst) for the police, a radio agony aunt, an abstract painter and was the first British female producer with her own TV company. She wrote the 52 Torchy scripts in 26 days and particularly enjoying writing the funny parts. Gerry Anderson produced Torchy for it’s two year run 1960-1961 and then went on to produce Thunderbirds in 1965. During the production of Torchy the ‘Supermarionation’ technique – later used in Thunderbirds – was perfected. So while Torchy was not a long running success it seems it lead into the Thunderbirds… and we are all grateful for that success 🙂 Every Saturday I would get up and watch Thunderbirds… I think that was my first SciFi love. Thunderbirds are Go!